Ancient 1,200 Year Old Bible Retrieved! Government officials in Turkey seized a Bible that is believed to be 1,200 years old. This Bible was seized during a recent anti-smuggling raid and is in frail condition, according to Faithwire. The ancient and fragile text is said to be only 34 pages long and has gold lettering bound in leather. The Bible was seized from suspects who were allegedly trying to sell the religious book, according to authorities in Diyarbakır. 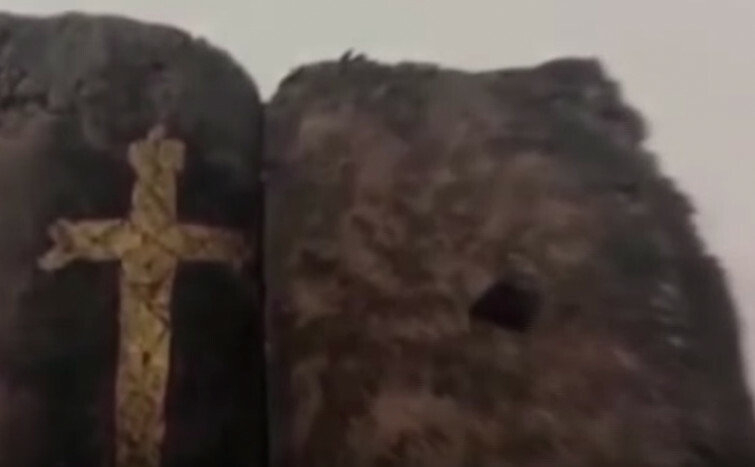 As you can see in the video, the allegedly ancient Bible features images of both the Christian cross and the Jewish star of David. Six suspects have been detained, but no further information about the Bible is available at this time.